We actually had one guy yelling at us from a fire road below the sweet singletrack we were using to traverse the hillside that what we were doing right before his eyes was not possible by bike and we should come down to the road (we thanked him jovially and swooped on to enjoy one the best descents of the trip so far). The learning here seems to be don’t trust anyone else’s opinion of what is possible. 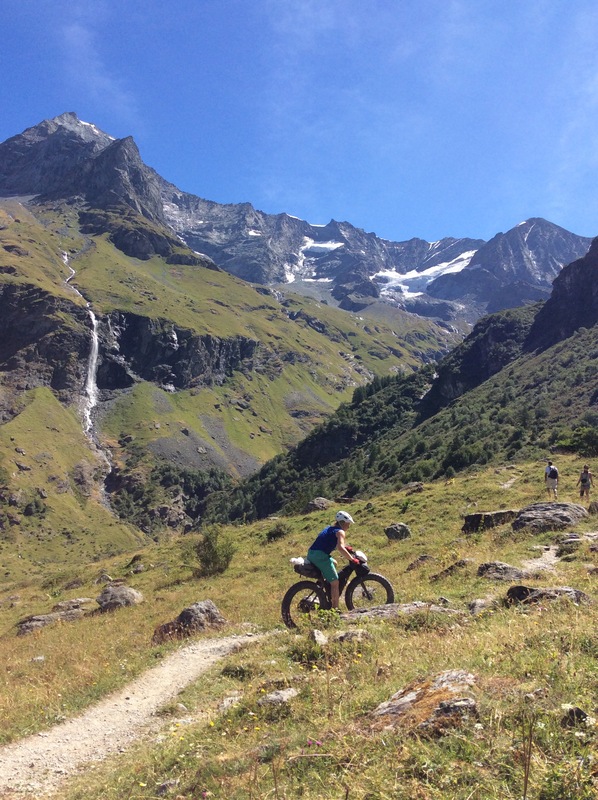 This is especially true if you are riding a Specialized Fatboy through the Alps. 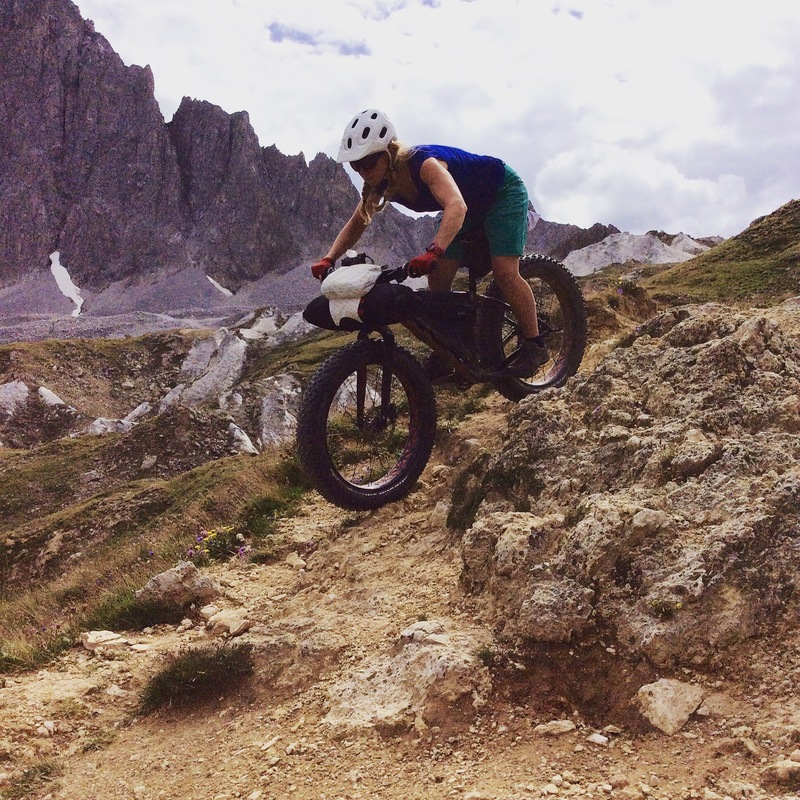 The bike climbs whatever you put in its path and descends in much the same way. While the other girls stumble and flail and push, I sail over the top of all the loose stuff. 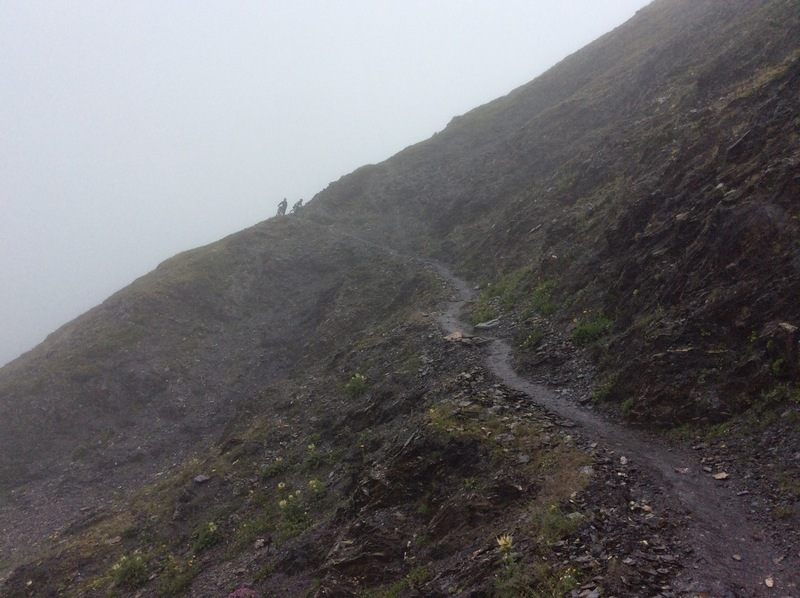 The disadvantage comes when I have to shoulder it to climb up the “impossible” cols but that’s a price I’m willing to pay. I also didn’t factor in how much time I would spend explaining to almost every hiker I pass why the tyres are so big. 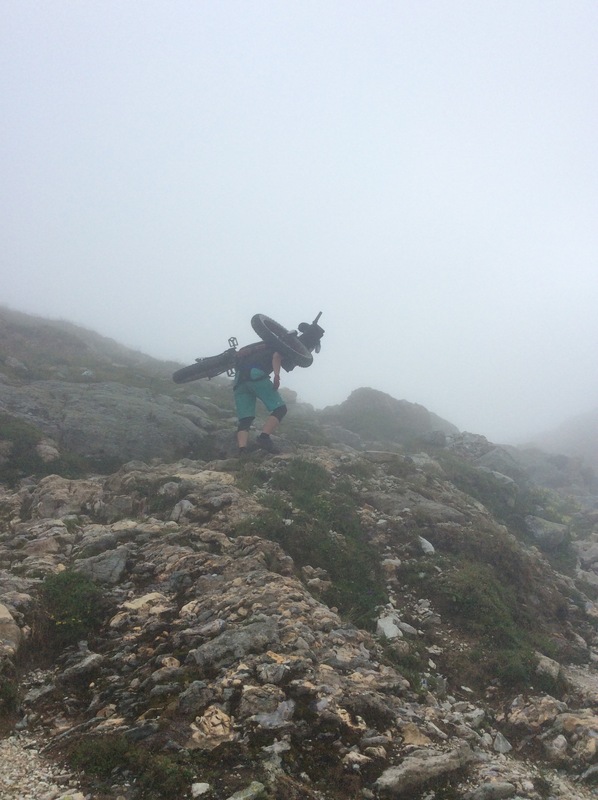 Still, I am at a distinct advantage riding Moses the Fatbike from Geneva to Nice on the GR5. I honestly didn’t think I’d be saying that. We are making pretty good progress. 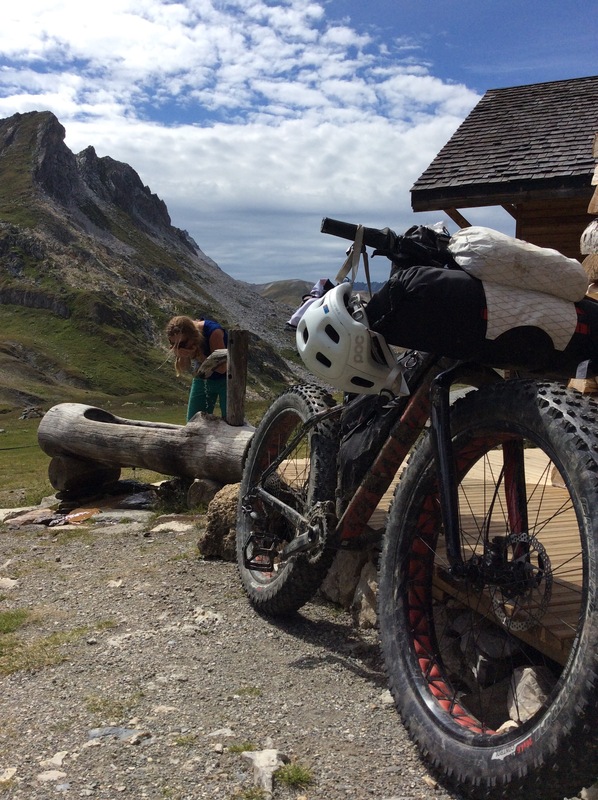 We’ve been riding / carrying for 5 days and are now near Val d’Isere. 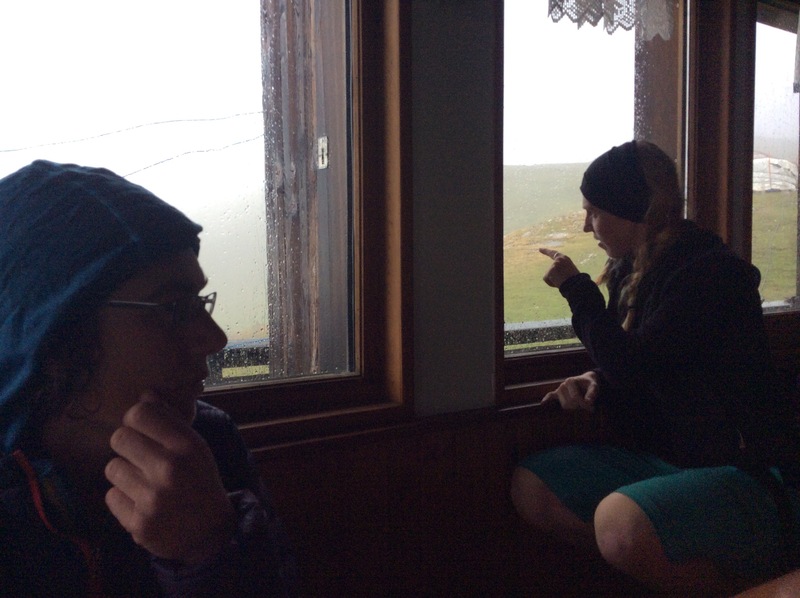 The weather has just crapped out (again) so we are taking a break before heading high again. The last time I was here was 3 years ago for a World Cup. I drove for 3 days to get to Val d’Isere where I rode laps around a grassy field. I decided then I would be back with a different agenda one day and here I am. Hard to imagine a more different set of circumstances really. 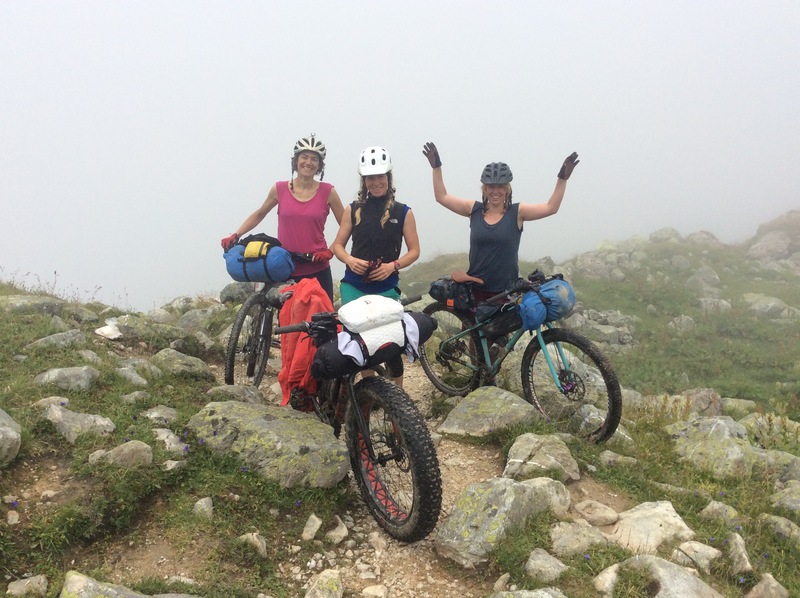 We have ridden, carried and pushed our way over four 2500m cols, got stuck in mountain refuges for wet afternoons, slept in high mountain pastures and under picnic benches, encountered greedy marmots, watched kites soar above us, washed in waterfalls, found ourselves descending built bike park trails alongside guys in full body armour and eaten our body weight in peanuts. We are a third of the way through and I never want it to end. Full story @seekandenjoy in due course…. 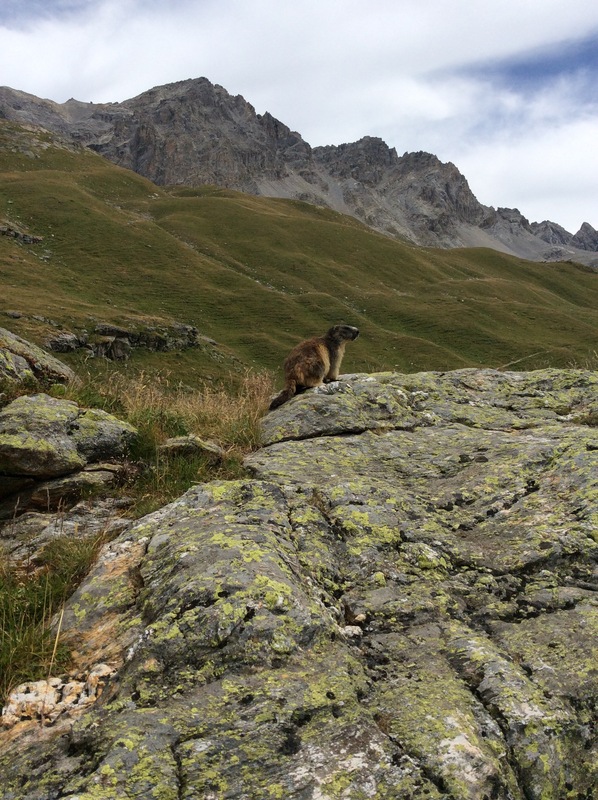 I’m really interested in reading any more detailed accounts of your trip on the GR5! Did you ride the entire route? Did you find any sites which helped you plan and prepare? I have a number of questions and would love to ask them, if it’s not too much trouble.